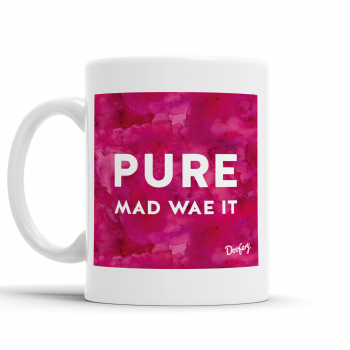 We love these fun and truly Scottish mugs! They are hand made by 'Doofery' in Scotland and come in various Scottish slang and colours. This item comes in a plain white box. Ideal humorous gift for birthdays and Christmas, or as a fun treat to yourself!